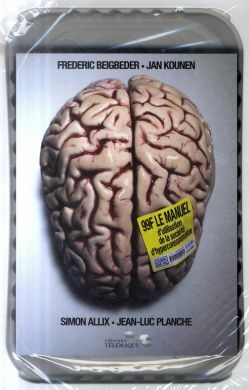 Frederic Beigbeder and Jan Kounen have included in this book/manifesto all the things that they could not write in the story or show the film “99F”: unpublished texts and testimonies, false advertising, frightening figures and exclusive ideas. Helped by illustrators Beb Deum and Christopher D on a model of Simon Allix and a text by Jean Luc Planche. 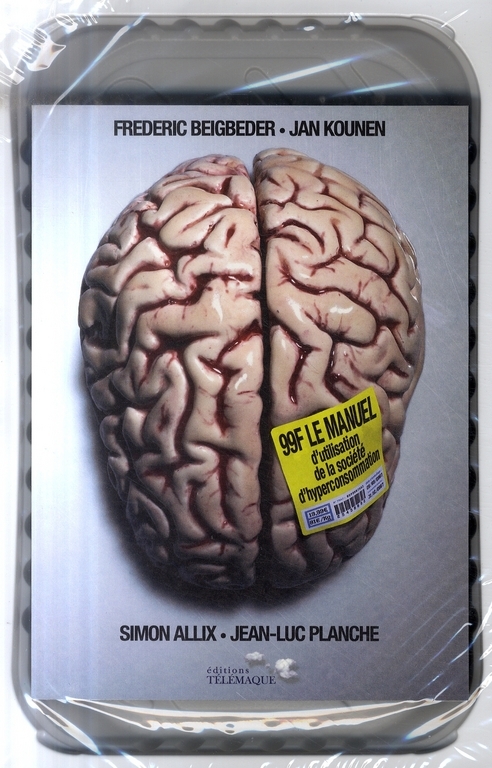 The packaging of the book “99F le manuel d’utilisation de la société d’hyperconsommation” is inspired by the meat packaging; it compares the human brain with a choice cut of meat.